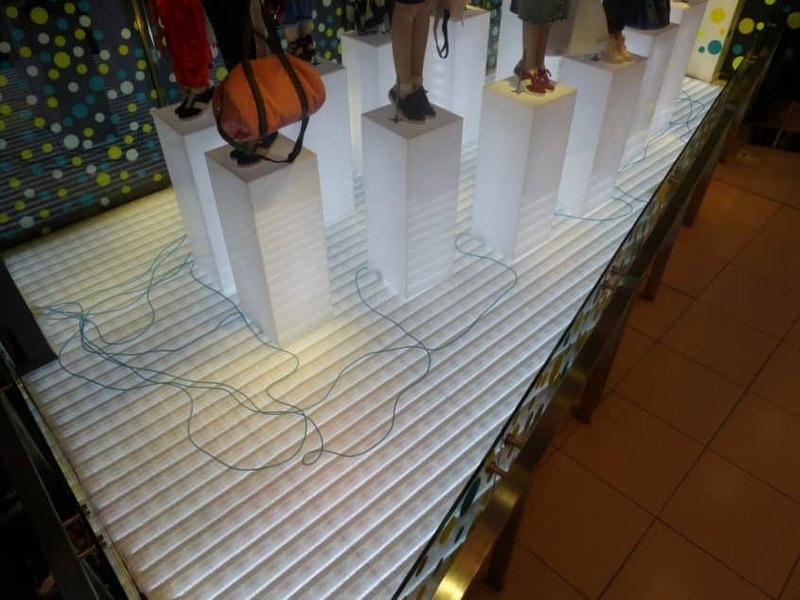 Cableflor retail display floor, at Top Shop, Oxford Street! We are pleased to have provided display flooring for the brand new retail display in Top Shop’s flagship store at Oxford Circus, London. Being one of the most fashionable shops in the world, it’s crucial to choose the perfect display floor for the new season’s looks. Top shop’s design team chose an illuminated frosted Cableflor to perfectly present their new season’s range. To get the effect we used LED tape under our frosted flooring, in every channel. The floor was then cut to shape to fit into the front window. It looks fab!